This month's newsletter comes to you from seat 3A on United flight 542. We are currently somewhere over Ohio and it finally happened. An hour into the flight the person sitting next to me leaned over and asked "So, what do you do?" Kicking myself for not putting in my earbuds at take off and accepting my responsibility to respond I replied as you might expect - "I'm a lawyer." "What type of law do you practice?" "Usually. Depends on the day." But for others, this conversation can be a wonderful opportunity to educate the public about what it really means to be a lawyer in Colorado and a way for every lawyer to be an ambassador to the advancement and improvement of the profession of law. When I have the opportunity to tell people about what I do, I always start with "I'm a lawyer" but I always end with "...and that's why the legal profession does more than any other to produce professionals of the highest character and integrity." When people ask me what I do, I have the privilege of educating them about the Colorado Attorney Mentoring Program and our goal to provide every Colorado lawyer with a mentor or coach to help them transition into practice, successfully transition practice area/employer/location/etc during practice, and maintain positive mental health and community engagement throughout their legal career. 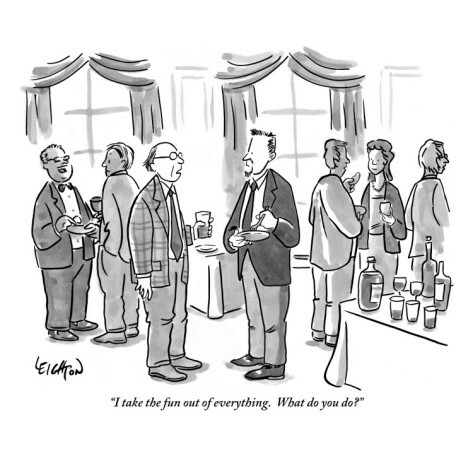 Not surprisingly, many members of the public have no idea that our profession does so much to generate responsible, competent, and ethical lawyers. Simply put, I tell people that I am a lawyer who takes care of other lawyers. In fact, I tell them, this is what makes our profession so great. We all take care of each other. Sure, we may be adversaries in the courtroom or across the boardroom table. We may advocate for different clients and we may interpret the law in different ways. But we are all part of a profession that requires us to see ourselves not simply as lawyers, but as caretakers of the profession and caretakers of each other. By participating in programs like CAMP, you too are a lawyer who takes care of other lawyers. You recognize that the sustainability of our profession requires us all to take an interest in cultivating competence in young lawyers and developing resilience throughout practice. You believe in the importance of producing legal professionals who are of the highest character, integrity, and aptitude. This is something the public should know and understand. Our profession takes so many hits in the court of public opinion. Whether through fictional characters on television and film who portray lawyers as liars, cheaters, and egomaniacs or through the stories of the few and far between bad apples in our profession, public perception of lawyers is at an all time low. But each of us has the power to change this perception one conversation at a time. Of course your practice is important and your expertise in your area of law is worthy of mention. Take the opportunity to sell yourself, but don't forget to sell the profession as well. Incorporate into your professional identity the ways in which you work to support the profession and the people within it. Leave the other person with a more positive view of what it means to be a lawyer. We are all ambassadors to the profession, even when we are simply sitting on an airplane. Every "So, what do you do?" provides us with a unique opportunity to educate the public about the ways in which we work together to create better lawyers. This month, I hope you will continue to ask yourself what it is you do to improve the profession and think about how you can convey your pride and professionalism as a lawyer every time you interact with the public. It is difficult for seasoned attorneys to get into court to hone their skills and even harder and less frequently for new attorneys. Young attorneys in a larger firm may have a partner mentor to model, but solo and small firm practitioners rarely have that advantage. Proficiency & Professionalism training will help close that gap and enhance previously learned advocacy skills. Good litigation skills involve more than just activities in the courtroom. Many of the mistakes lawyers make involve dealings with each other, filings with the court and telephonic communications with the judge and staff. Proficiency & Professionalism training is designed to cover a whole range of pre-trial and trial skills. Effective use of technology transcends generations. Mentoring is commonly overlooked as a way to improve upon your use of technology in practice. Learn how CAMP mentors and mentees are integrating tech skills into their mentoring relationships. CAMP offers monthly training sessions for our software platform. Join us if you have specific questions or if you are interested in learning how to maximize your mentoring relationship through technology. Webinars are held the 3rd Tuesday of each month from 12:00 to 1:00. Can't attend? Schedule a private training. You may be receiving e-mails from us requesting an update on the status of your mentoring relationship or your 2017 engagement with CAMP. Please respond to our inquiries as soon as possible so we can create the best mentoring experience possible for you. This is your opportunity to send us your feedback – anything that's on your mind – whether good or bad, compliments or criticisms, we want to hear it. If something is bothering you, we'll work to fix it. If you like something we're doing, we'll continue to do it. Your insights are critically important, and we want to make sure we're continually raising the bar on your experience with the Colorado Attorney Mentoring Program. Your diet doesn’t just affect your waistline. The foods you eat (or lack of them) directly impact your cognitive functioning and energy levels, both of which are variables affecting professional success and overall well-being. However, as we face never ending to-do lists and attempting to balance work and home life, diet can be the first thing we compromise. Ironically, it is when we are stressed that our bodies and brains need the nutrients the most. Take the time to sit down and eat a good meal, even if it is just for 15 minutes, without working on the computer or talking on the phone. It will help your brain regenerate and your nervous system relax. Start today! 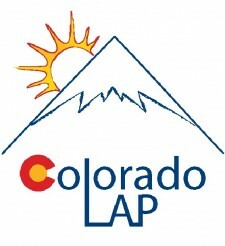 For more information or for confidential assistance, please contact COLAP at 303.986.3345 or visit our website at www.coloradolap.org. Copyright © 2017 Colorado Attorney Mentoring Program, All rights reserved.